"Whether you are here for our corporate facilities or simply a well deserved break, we promise you a memorable stay. We offer a lively environment, great company, individual cuisine and fine wines amongst other delights. Nothing is too much trouble for our professional and friendly staff." All reviews are the subjective opinions of third parties and not of the website or its owners. Reviews are placed by members of the public that have held a function or event at Penventon Park Hotel. 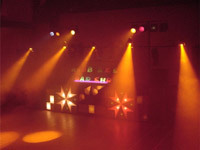 At needadisco.com we only accept reviews from confirmed clients that have booked a DJ to play at Penventon Park Hotel via our website, with the arrangements independently verified by both the DJ and the client before the event takes place - no "fake reviews" here! 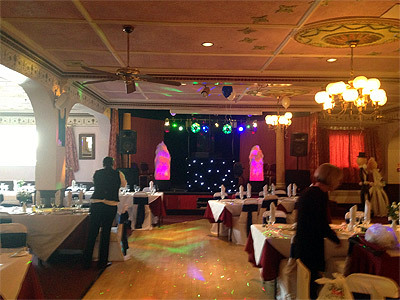 "Penventon hotel and their staff provided us with a lovely wedding and evening do. The staff were great^ everything was at a top standard and the barman did an excellent job. 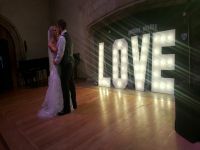 Would highly recommend as a wedding venue." 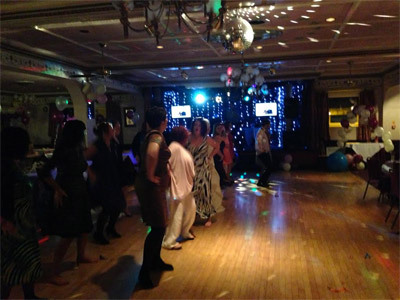 "Lovely evening^ brilliant staff at our venue^ brilliant night "
Helpful information for DJs and entertainers visiting Penventon Park Hotel provided by trusted members of needadisco.com. ACCESS: Loading is via the back up around 10 steps on some metal stairs, a bit slippery if wet, into a door and 4m from the stage. FACILITIES: Setup area is a stage, often there were be tables, chairs and other things on it, which cannot always be moved elsewhere. STAFF: Friendly but never see much of them. ADDITIONAL COMMENTS: "It's a large room, that requires a lot of guests. 50 guests are easily swallowed up in the wings to the left where the bar is and to the right where there are tables and chairs. " Information is based on enquiries and bookings handled via needadisco.com so whilst it's a great insight, if you have any questions or concerns about holding a function or event at Penventon Park Hotel please contact the venue. Penventon Park Hotel has previously been hired as a venue for private parties such as birthday celebrations, anniversaries, engagements etc. Penventon Park Hotel has previously been hired as a venue for functions and events such as sports club social evenings, masonic events etc. Penventon Park Hotel has previously been hired as a venue for corporate events such as works parties, product launches, prizegivings etc. Penventon Park Hotel is in our Hotels category. The map below shows other local venues in the same category.